How to’s on how to fix things! Unlike most people, I still have a local library of music on my computer, and I don’t like streaming music over 3G/LTE because it uses precious data! Therefore I wanted to find a way to create playlists on my computer and put them on my phone. Unfortunately It wasn’t as straight forward as I hoped, manually copying and pasting music between devices was cumbersome and not idea. Until I found doubleTwist! Install doubleTwist Sync on your Windows computer! Inside doubleTwist ONLY sync this playlist to your phone. Now whenever you want to add new songs to your Android device, go to itunes, 5 star any new songs you want to add, sync with doubleTwist! Google is great, but with a few tips it can be awesome!! These are the tips I found most helpful to memorize. I tried installing Arduino IDE from the repo’s through apt-get but realialized that the Arduino Yun was not listed. So I google some more and eventually installed the newest IDE and arduino Yun was finally listed. I could not find any tutorials on how to disassemble this keyboard so I thought I’d take pics along the way to disassembling mine. I also decided to make it wired (still with the dongle!!) because I realized that if you lose the dongle, there is no way to replace it and you need to spend another $70 on a new keyboard !!! So I decided to hide it in the body of the keyboard, and that way I will never risk losing it! I got a startech 5.25 hot swap bay for my computer (Windows 7 on an MSI Z87-G41), hot swap wouldnt actually work. Saw that there was a new Intel® Rapid Storage Technology driver for my motherboard and decided to install it. Unfortunately I got the error “The following application requires Microsoft .NET Framework 4.5: Intel® Rapid Storage Technology” even though I had .NET 4.7 installed. After a while or looking I came across a post that helped me fix the problem. 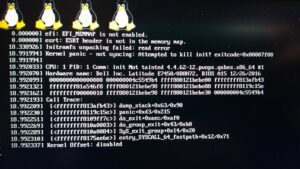 This is a list of things I had to do to get Ubuntu Gnome ready to use to my liking. Close Spotify, remove ~/.config/spotify/window_position.prefs file and start Spotify again. 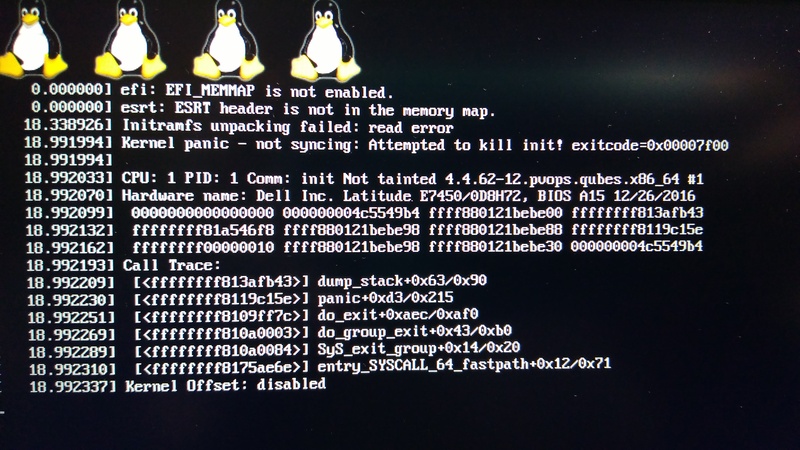 [ 0.000000] efi: EFI_MEMMAP is not enabled. [ 0.000000] esrt: ESRT header is not in the memory map. Update RUFUS to latest version 3.14 as of this post. No trying to install, you will get the error above still but it will continue with the installer in EFI mode.